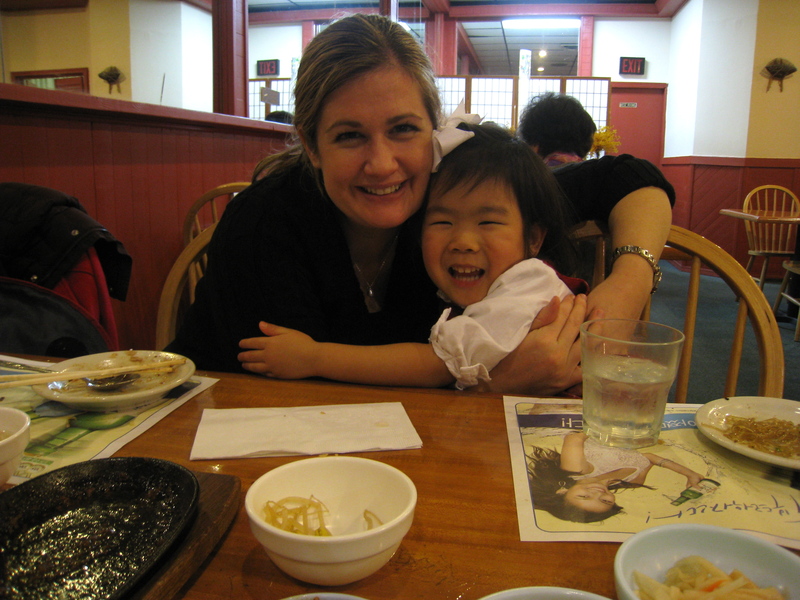 From our annual New Year's eve dinner at the Korea House. All of the staff was so happy to see Poppy and to finally meet Sam. When Marc told us to smile for the picture, Poppy leaned over and said, "Mom, let's hold each other for the picture." 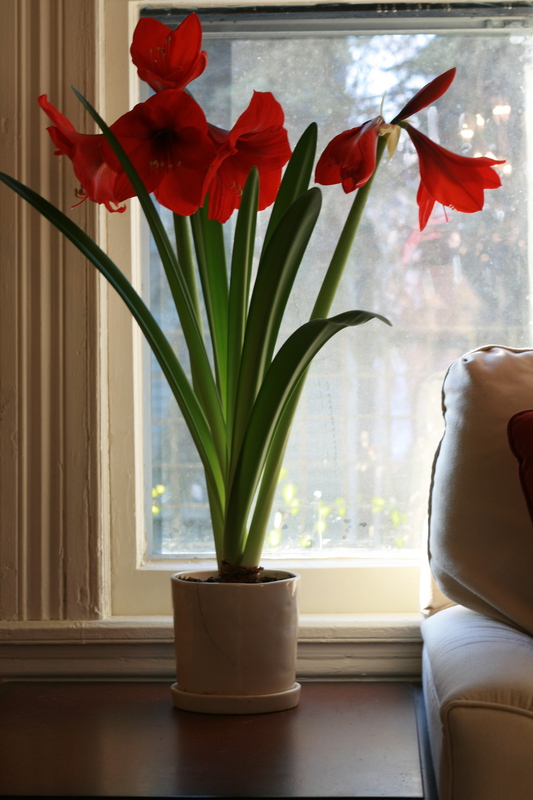 Here is Poppy's amaryllis in all its glory. She planted it as a bulb and watched as it grew every day. I can't believe it got this big though! Maybe we'll try some paper whites next. These two could seriously stare at the train for hours! 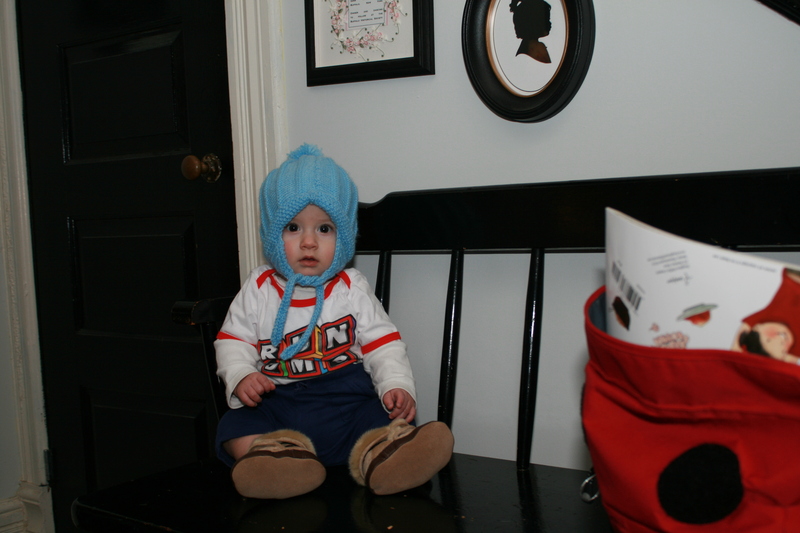 Getting ready to go to Uma & Upa's! Could that little face be any cuter? I'll have to scan in a baby picture of Marc so you can see how much they look alike - it's crazy! Oh, that first photo of you two girls is just heartwarming! I love it! And the two kids gazing at the train is priceless. Though I, like you, am sooo glad to clear out the xmas clutter. Can you come clean my house of the Xmas gear?! Ugh. I dread it. The live tree too. Double ugh. We so need to go to the Korean House if we ever visit again. Love the train pic and the one of you and P.
love it! Our tree is still up in all of it's glory...bleh. I hate taking it down. I love that Poppy "wanted to hold each other" for that first picture! Super cute!! 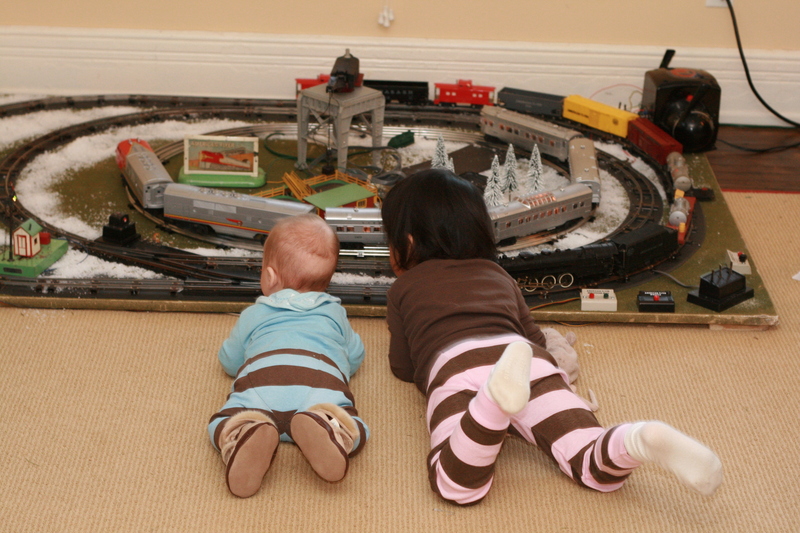 Also, I love the picture of Poppy and Sam on their tummies watching the train! Sam is getting soo big!